2K Games and Gearbox Software have announced September 18 as the official U.S. release date for Borderlands 2. The game will be released internationally on the September 21. Also accompanying the announcement is a brand new, three-minute trailer which poses an exceptionally thought-provoking question: are you ready to joy puke your face off? Gearbox promises 870 gajillion more guns, 96.5% more wub wub and claims Borderlands 2 will be 1000 degrees hotter than its predecessor. However, the company failed to clarify whether or not the measurement they took was in units of Celsius or Fahrenheit. The trailer is a very cool one and features four new characters: Salvador the dual-wielding gunzerker, Maya the substantially different siren, a soldier-like character named Axton and Zero who appears to be a sword-wielding assassin. The video gives us a taste of what to expect from the imminent Borderlands sequel -- an "epic" campaign with 4-player co-op, vehicle riding, more skills and split screen play. 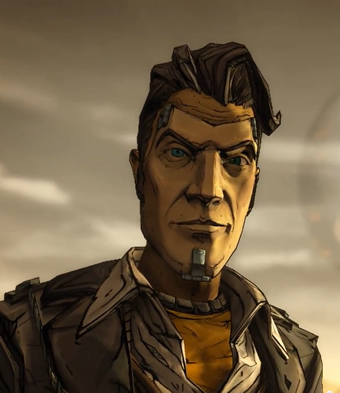 The trailer also shares with us some game play footage, a glimpse at Maya's skill tree and the return of Handsome Jack as the main antagonist. Some things we already know about the game include ternary skill trees for each player class containing a diverse set of skills and cheap respeccing. Players will also be able to freely distribute their skill points across multiple trees. It was Gearbox's intention to encourage players to tinker with their characters and try different things. Borderlands 2 is based upon the Unreal 3 engine and is available to pre-order for the PC, Xbox 360 or Playstation 3. Handsome Jack. This tyrant will be the end of us all. We're gonna need a lot of guns. Pandora's changed, are you ready?